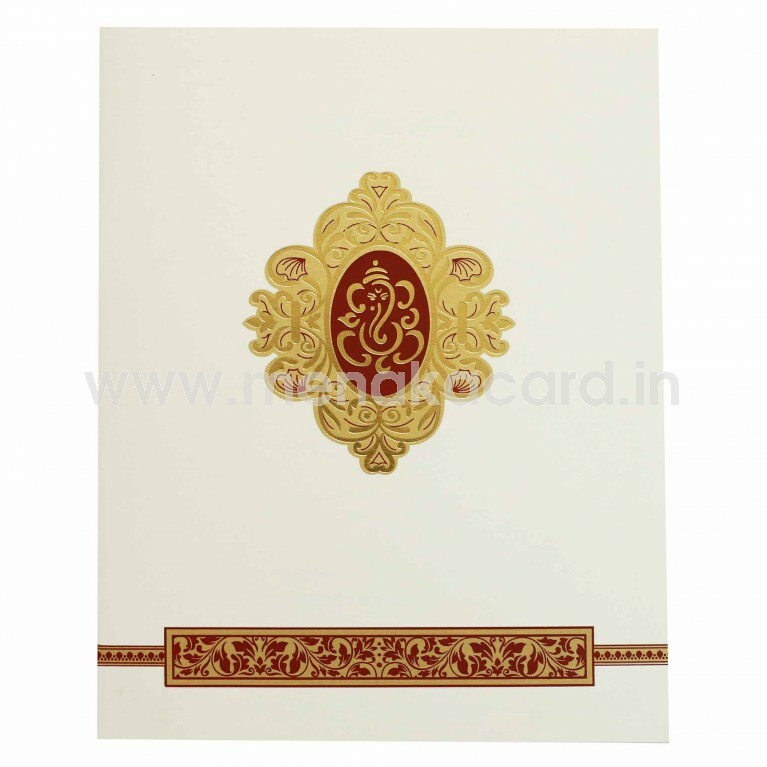 This graceful card is made from an off-white matt finish board with a book fold and has a decadent ornate filigree frame gracing the centre of the card holding a contemporary Ganesha in the middle, printed in luxurious gold foil. The bottom of the page displays a dainty floral border printed in a rich maroon. 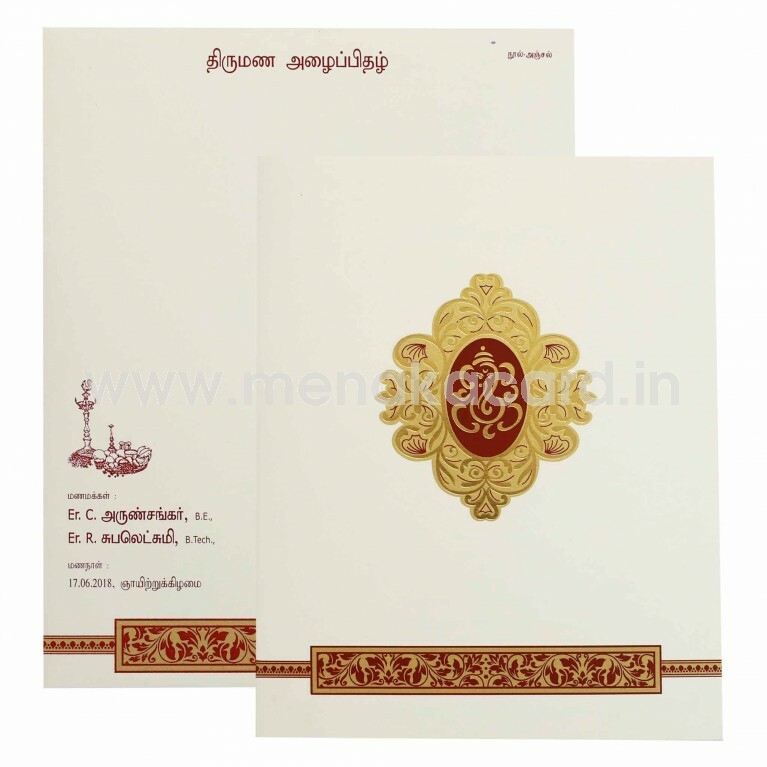 The insert sheet stuck to the centre of the card contains the text printed in the same maroon colour or any other colour of choice. 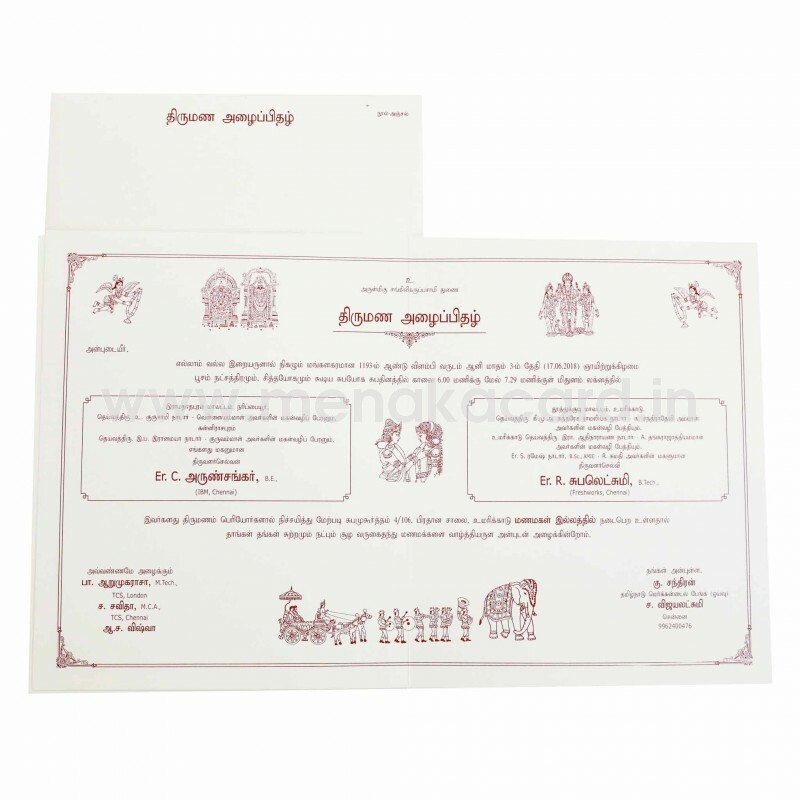 The envelope mirrors the card in both design and material. 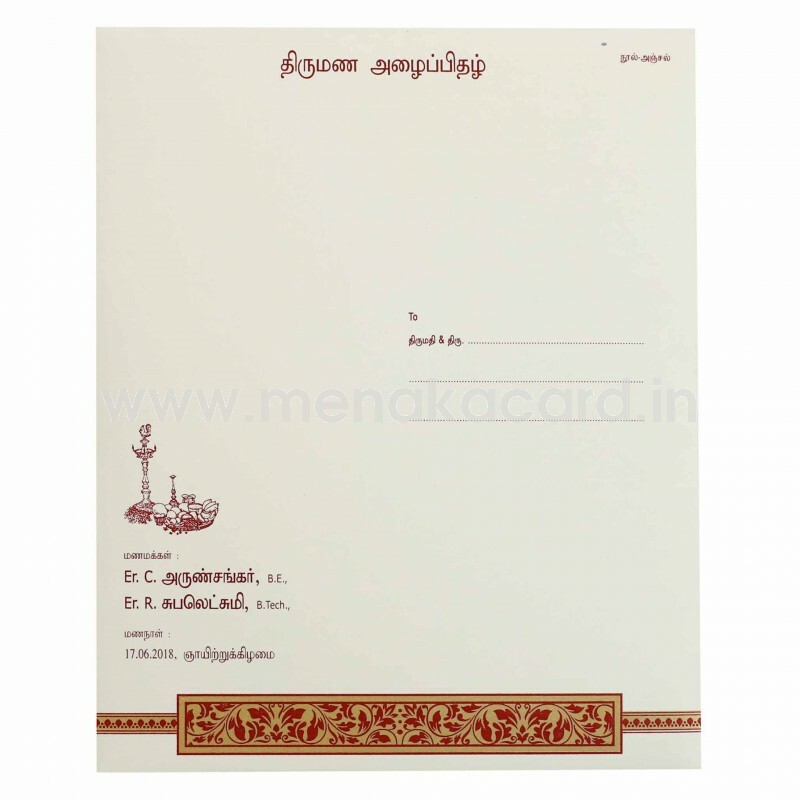 Generally used for Christian weddings, it can also be used for Hindu, Muslim weddings as well as personal invitations to friends and colleagues.